Inlife Green Tea Extract Vegetarian Capsules are made up of green tea extract. Green tea extract derived from natural green tea leaves is rich in antioxidants commonly known as catechins. A common catechin found in green tea extract is EGCG (Epigalocatcehin gallate), which is a form of polyphenols. 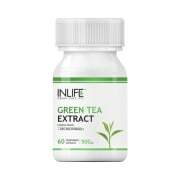 Inlife Green tea extract capsules contain 50% polyphenols. Green tea extract and its derivatives are used as dietary supplements and also used in alternative medicines. It has the capacity to enhance metabolism which helps mobilize excess stored fat and helps in weight loss. Green tea extract is beneficial for heart health. 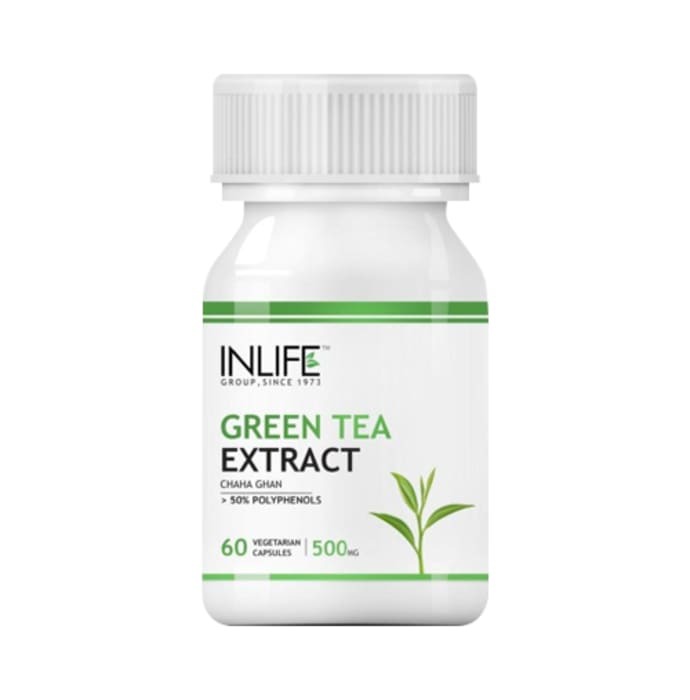 A licensed pharmacy from your nearest location will deliver Inlife Green Tea Extract 500mg Capsule. Once the pharmacy accepts your order, the details of the pharmacy will be shared with you. Acceptance of your order is based on the validity of your prescription and the availability of this medicine.